A fun project: repair and protect this downspout. 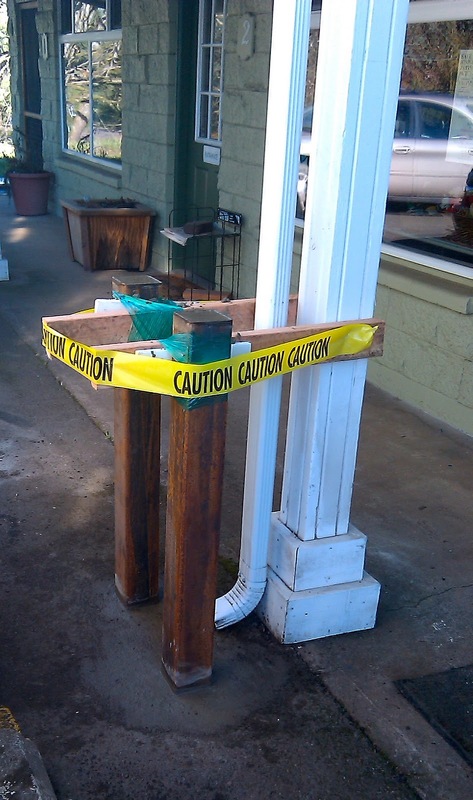 Consider It Done Construction cut out the asphalt, installed the posts, filled the posts with concrete, replaced the downspout, and repaired the asphalt. 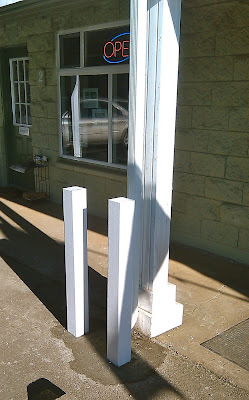 When the concrete was dry, we painted the posts to match. Old aluminum windows and wood trim were removed with the old window. 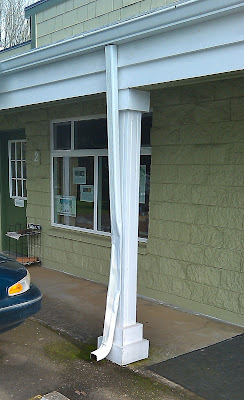 New windows for the entire home were installed with new flashing and new trim. 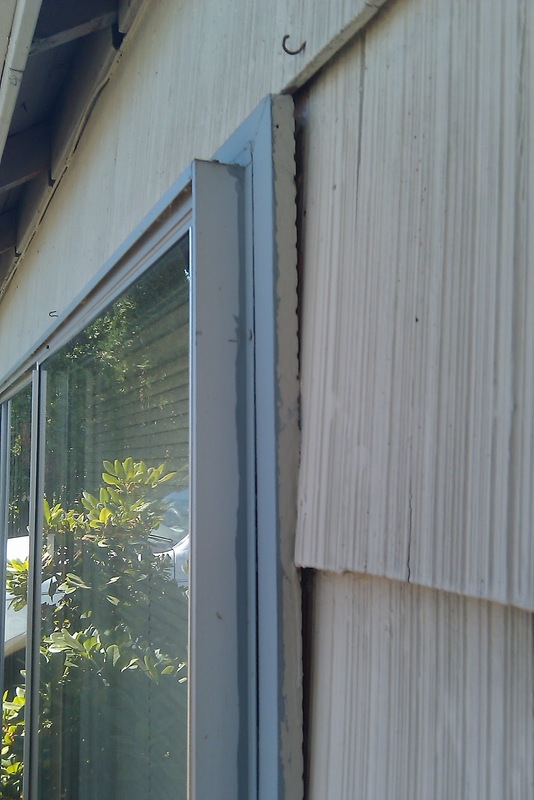 Once all the windows were replaced, Consider It Done Construction painted the exterior of the house and garage.